Get an insider view of the facility recognized by Guinness World Records as the largest building in the world by volume. 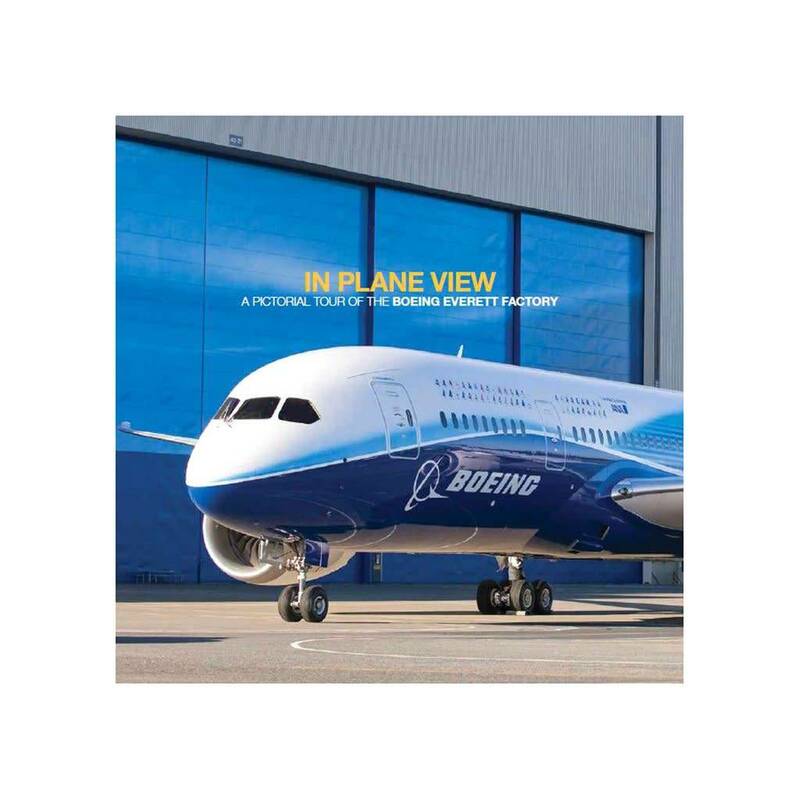 This collector's book provides a detailed visual tour of the huge Boeing Everett factory, where the company builds twin-aisle jetliners. Using exclusive contemporary photographs and images from the Boeing archives, the book features shows the 747, 767, 777, and 787 as they move from the factory floor to flight. It includes a brief history of the factory and intriguing facts about Boeing's amazing airplanes. "In Plane View" is a perfect memento of the Everett factory tour and an ideal gift for aviation enthusiasts. By Betsy Case (author), Cass Weaver (designer). Published 2018, 48 pages,49 colour photographs, softcover, 9" x 9"